In order to be fully prepared and informed before heading abroad, it’s important to be familiar with the policies of the government you are traveling to and from. We’re here to answer your questions, curb your concerns and get you studying abroad safely! A passport is an official document issued by the government that certifies your identity and citizenship, required for reentry into your home country for admittance into the foreign country you will be traveling to. What is the difference between a U.S. Passport Book and a U.S. Passport Card? The U.S. Passport Card is the size of a driver’s license and can be used to enter the United States from Canada, Mexico, the Caribbean, and Bermuda at land border crossings or sea ports-of-entry and is more convenient and less expensive than a passport book. The passport card cannot be used for international travel by air. 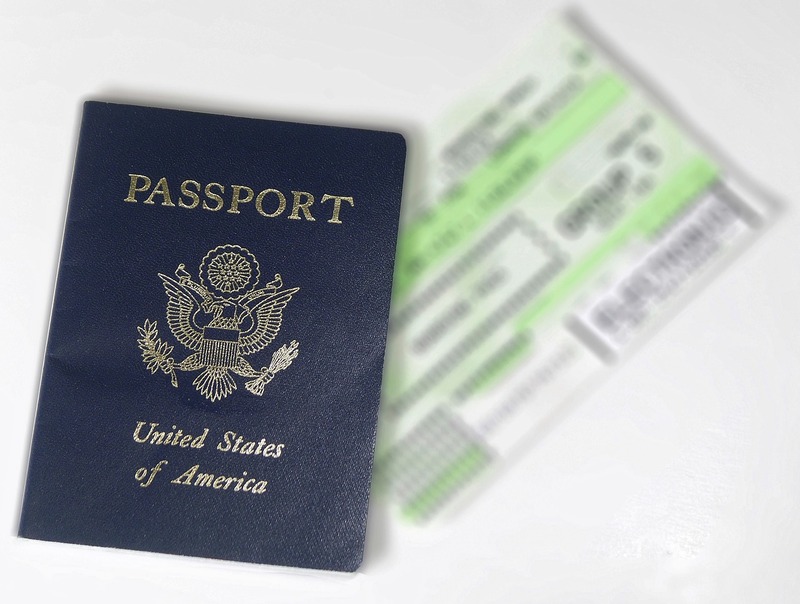 The U.S. Passport Book is valid for international travel by air, sea or land. A travel visa is an official document, in addition to your passport, issued by the foreign country you are traveling to, granting you temporary authorization to stay in that country. In countries that require student visas for entry, it typically depends whether or not the student plans to stay in the country of study for ninety days or longer. How can I find out if I will need a Travel Visa for the country I will be studying in? Every country is unique with regard to government policies. In preparation for your study and travels abroad, be sure to do your research to ensure that you will be a smart, safe, well-informed traveler. We recommend you start your search on the U.S. Department of State website. Here you will find country specific information including whether or not you will need to obtain a travel visa as well as the location of the local U.S. embassy. How can I obtain a Travel Visa? Refer to the U.S. Department of State website to find country specific information that will outline everything you need to know about the country you are planning to study. Depending on the country’s policies, you will find out more information on how you will be able to go about obtaining a travel visa if you need one. If the country you are traveling to and from requires a visa be sure that you have a valid passport before you apply. Do I need to “register” my trip? Travel Registration, or what is now recognized by the government as the “Smart Traveler Enrollment Program (STEP)” is not required in order to travel abroad, although it is highly recommended. This government program is free to enroll and is designed to help you stay a well-informed traveler and help you and your family in the event of an emergency whether at home or abroad. Enrolling in the program will sign you up for country specific information, travel alerts and travel warnings. STEP will also be able to better assist you in replacing a passport that has been lost or stolen. What do I do if my passport gets lost or stolen? This may be a scary thought to consider before heading abroad, but it is always better to be prepared! Now, hypothetically speaking, what would you do if you are abroad and find that your passport has been lost or stolen? First off, don’t panic! This is not the first time this has happened, and although it can be a tedious process to recover or reapply for your passport, there are people out there that are ready to help you. You should start by visiting the local embassy or consulate as soon as you possibly can. Once there, you will need to ask the American Citizens Services (ACS) unit to report the loss. Next, you will most likely be asked to fill out a report and a sworn statement to state the circumstances in which the passport became lost or stolen. Remember, the embassy officials are only there to help you; in moving forward with the forms, documentation and interviews: tell the truth! You don’t want to create more difficulties in trying to get you properly documented and ready to return home. Standard passport application fees will apply, however, if you’re money has also been lost or stolen they will issue you a limited validity passport for no charge. Now, be aware that this passport will only be valid long enough to get you home safely. Again, be smart and make sure you approach these government matters with maturity and honesty. They will make sure you get back to your travels and back home safely!